Celebrating our 20-Year Partnership with Hewlett Packard! – CT Link Systems, Inc. Celebrating our 20-Year Partnership with Hewlett Packard! 1999: CT Link Systems, Inc. officially signed up as an Authorized Corporate Reseller with then Hewlett Packard (HP) Corporation, a Dow Jones Top 30 company with US$ 42Billion revenue and employing 84,400 employees. 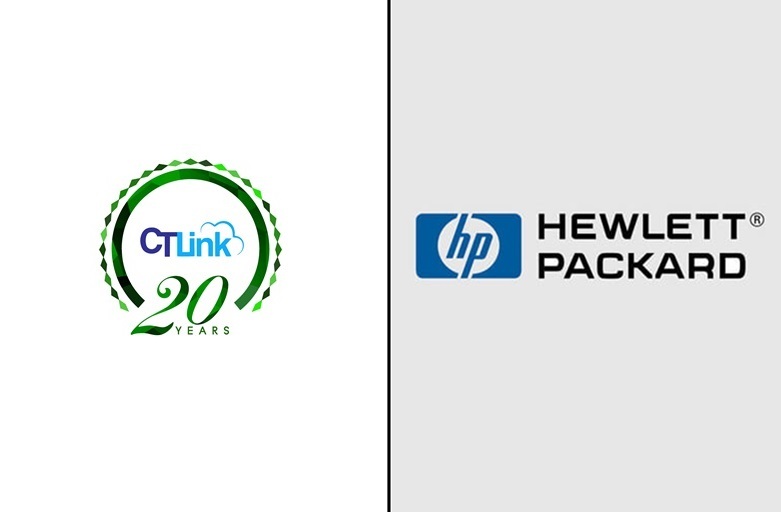 The HP partnership established CT Link’s credibility as an IT-solutions company that enhanced its customer’s business processes. In October 2014, Hewlett Packard split into two companies – Hewlett Packard Enterprise (HPE) and HP Inc.
HPE focused on enterprise products and the services business segment. Its flagship solution, the Hybrid IT, consists of both cloud and on-premise data center infrastructure and helps organizations transform their IT operations, security, economics and operations to support business workloads. In 2015, HPE bolstered its technology portfolio through a series of noteworthy acquisitions including Hyperconvergence pioneer SimpliVity and Nimble Storage for the All Flash Storage solution leveraging on InfoSight. They also bought the networking company such as Aruba Networks and other security and cloud-focused products to complement their IT transformation offering. Meanwhile, HP Inc. transformed from a hardware-centric model towards seeing hardware as a foundation for services and solution offerings. It spearheaded quality improvement of HP Personal Systems through innovations such as Designing for the Modern Workforce, Security for the Modern Workplace, and Collaboration for the Modern Work Styles. It also provided new offering such as Device as a Service (DaaS), Office Printing and Cloud ready and optimize hardware. Alongside these developments, CT Link has continued its partnership with both companies and has become part of the transformation from the hardware-centric company it was in 1998 to a company that provides solutions, services and cloud technology linkages for its customers.